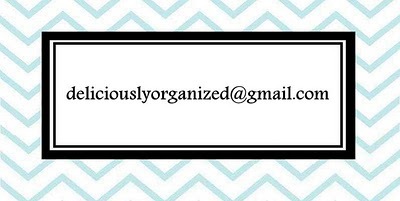 Deliciously Organized opened it's online doors in June 2009. As a California girl living in Boston, I found myself inspired by my new surroundings. Snow covered trees, streets lined with Cherry Blossoms, and gorgeous brownstones for as far as the eye could see. With all this inspiration, I started Deliciously Organized. During this time a wonderful community of bloggers was formed and I made friends online and offline who shared the same passions as myself. What started as mainly a place for Organizing and Interior Design discussions, turned into a place where topics are covered from Health, Cooking, Fashion, Beauty and everything in-between. 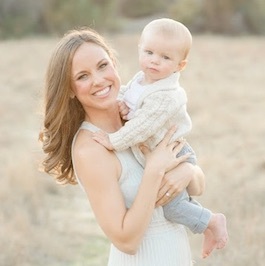 In 2015, I welcomed my son Sloan and naturally I've included posts on new topics that have become a part of my life. I hope you find something that inspires you here. Whether it's an organizing tip, quick meal, a link to a new pillow for your sofa, or a picture of a gorgeous space that takes your mind off the hustle and bustle of the busy world.